This page briefly describes and illustrates the various promotional literature items that have been superceded or obsolete. Please contact the secretary or president if you want to have copies of them, as they may still be available in limited quantities. A large white poster with go-board edging and the BGA logo in red. Ideal for tournament/open day signage. 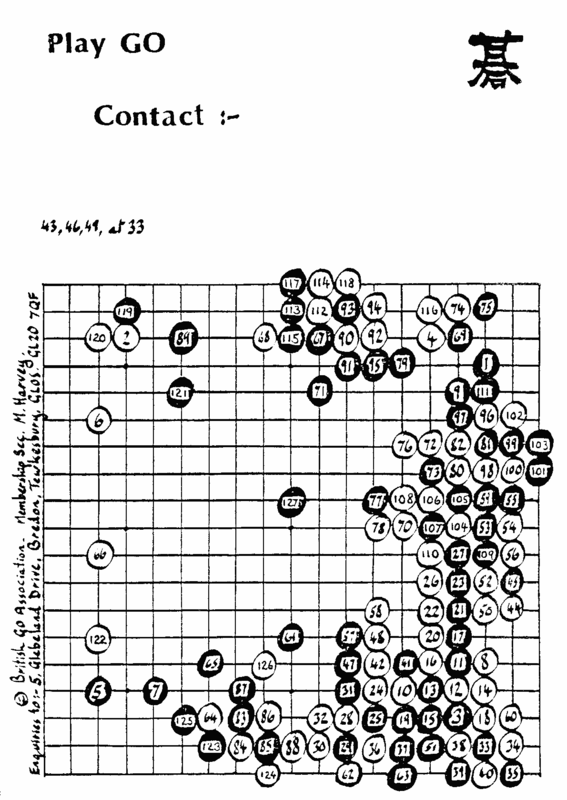 An introduction to the background, history and rules of Go, and to the BGA. 20 pages, A5 with a colour cover. Sometimes also called the Stock Leaflet or Go Booklet . Previous versions had a black and white cover. There is an HTML version of the booklet  on this site. and a PDF version  of the black and white version. 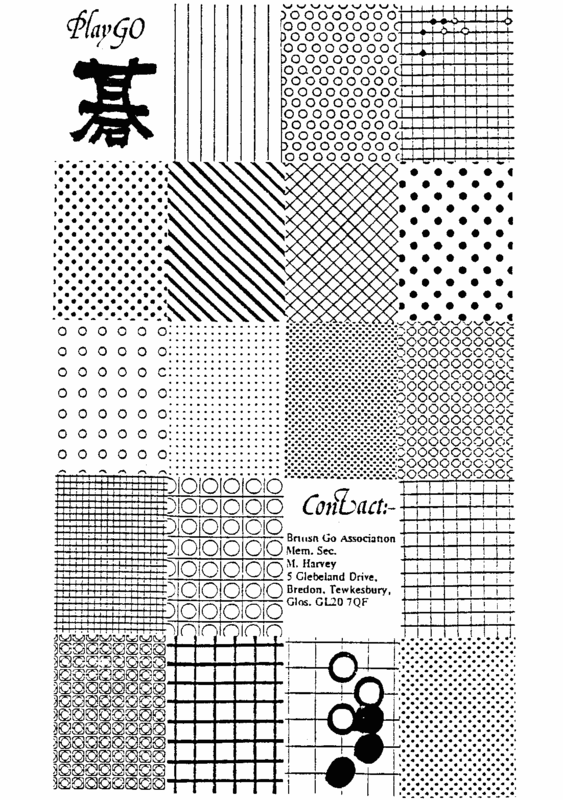 An introduction to the background and history of Go, a single sheet of folded A4. 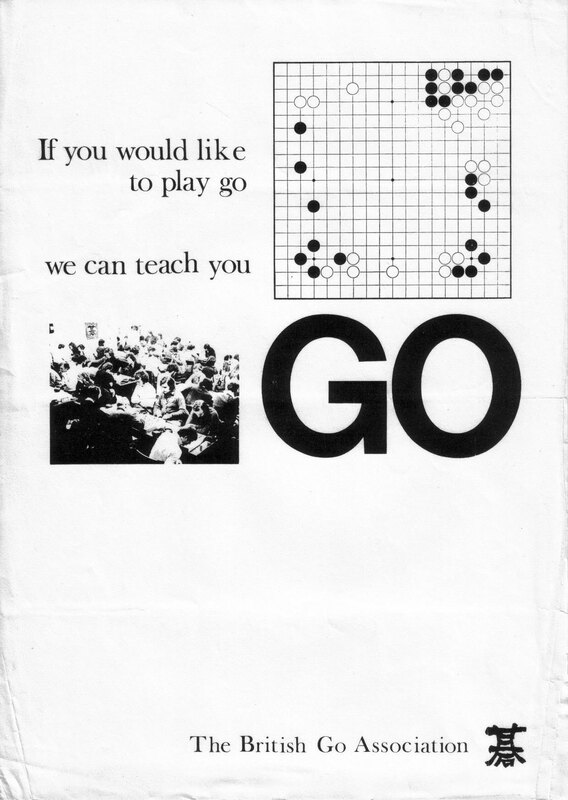 It was later incorporated with the How to Play Go rules leaflet to form the Go Booklet. There is a PDF version (1.1MB) . An introduction to how to play Go, two sheets of folded A4. It was later incorporated with the facts leaflet to form the Go Booklet. Ideal for leaving in books, in libraries or shops. Light card, 5cm by 20cm. A CD of material about Go: a single, easy to use source of information about Go that can be used in promotional and teaching activities. Among the information it contains are: introductions to the game, problems, professional games, free and shareware Go playing software, images of Go and help for club organisers and promoters. You can browse the information at your leisure and install the software without having to access the Internet. In addition, the disc contains a complete copy of the BGA web site. The CD-ROM is typically updated every 6 months. The CD editor welcomes suggestions of material to include in future editions, either of your own work or items produced by others. The copyright holder’s permission is required before anything can be included on the disc. The CD-ROM may be freely copied and distributed without charge provided that the copyright notice is also included. If you wish to copy or use the items on the CD-ROM in any other way you should contact the appropriate copyright holder for their permission. 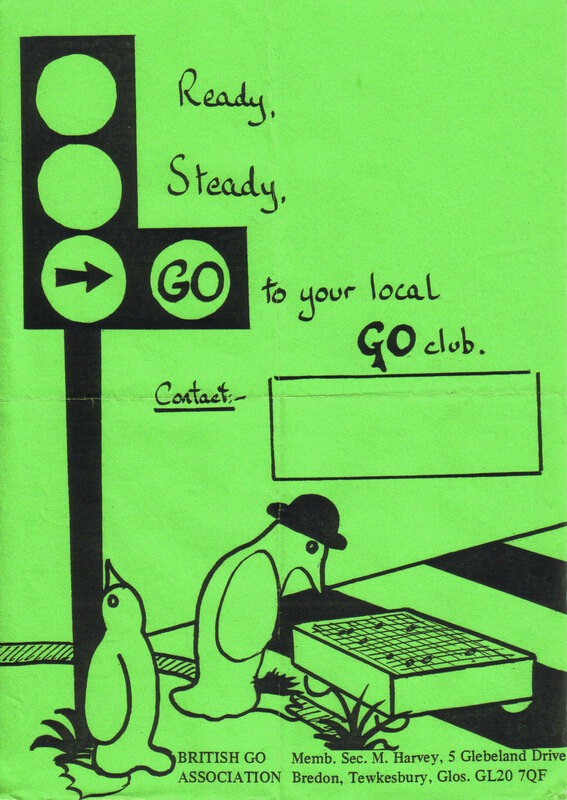 A5 booklet of games and reports from the European Go Congress, held in Canterbury in 1992. Can be used as a gift for visiting players. Can be used by clubs to advertise and promote meetings; organisers of tournaments and other events; or anywhere that promotional material is required. A single A4 sheet, printed double-sided with one A4 poster on one side, and two A5 ones on the reverse. As a PDF file . Larger JPEG image (265KB) . Larger JPEG image (276KB) . By S. J. Perks in the early 1980s. Larger JPEG image of the penguin poster (551KB) . The original was A4 size. Larger PNG image of the Ear-reddening game poster (70KB) . The original was A4 size. Larger PNG image of the dragon poster (169KB) . The original was A3 size, black on kingfisher-blue. 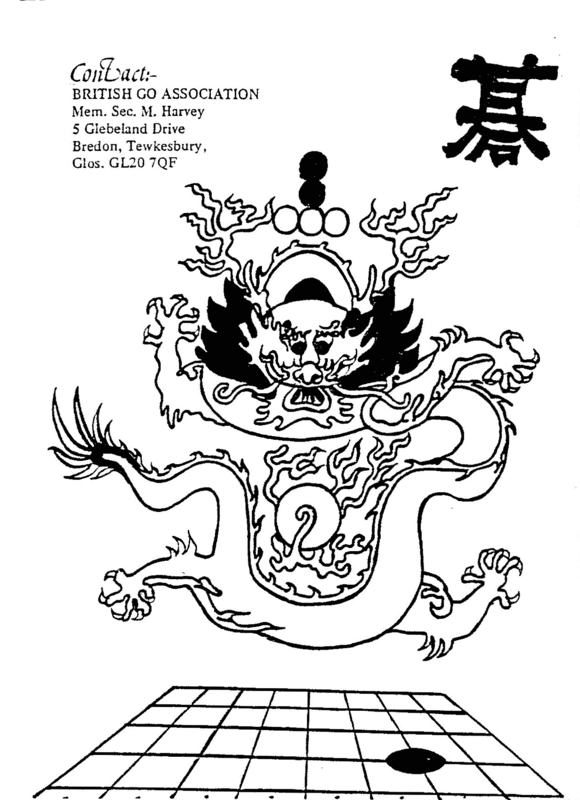 Original description: The dragon holds a white stone and contemplates its move. Larger PNG image of the Jade Lady poster (84KB) . The original was A3 size, black on dark beige. 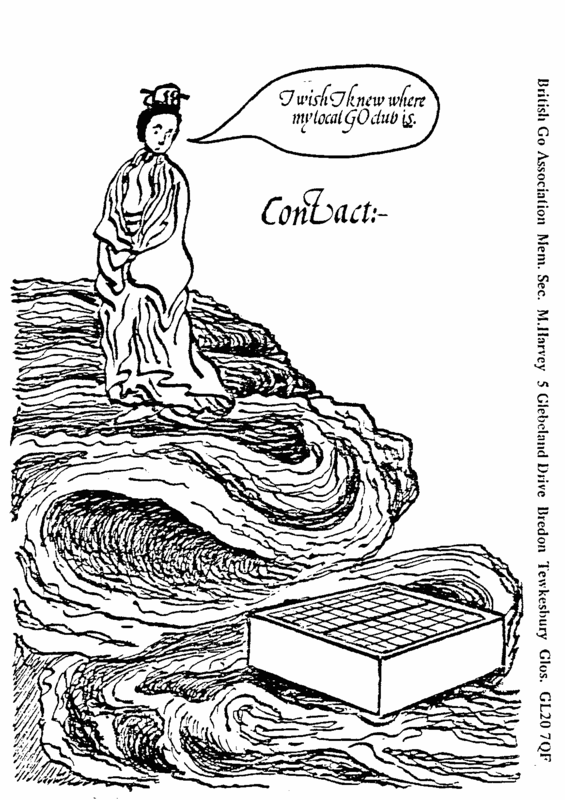 Original description: The Jade Lady rests on the cloud in search of a Go club. Larger PNG image of the metamorphosis poster (82KB) . The original was A3 size. By S. J. Perks in the early 1980s. These were 6×4 inch address labels, gummed on the back. The British Go Association. 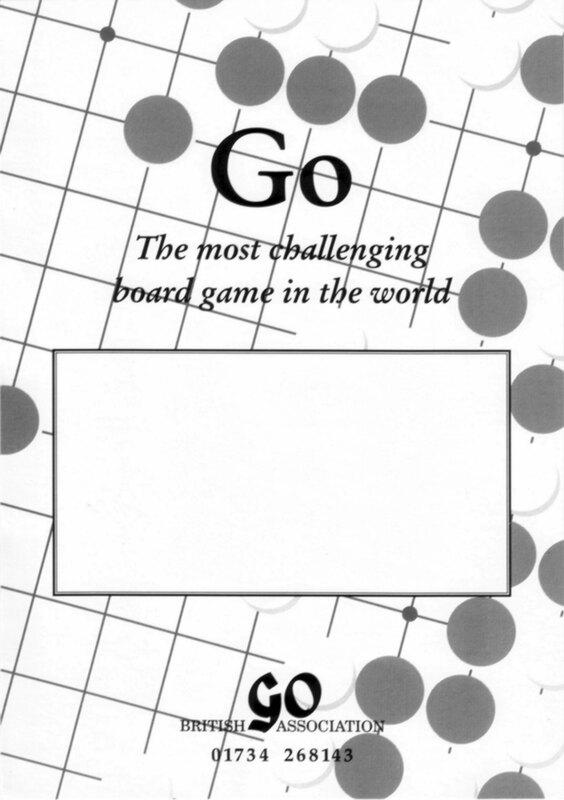 Go is a game of skill for two players. For details of the Association, & of your nearest club, contact:- M. Harvey, [address removed]. POST OFFICE: This is not a return address for undilivered mail. Describes how to run clubs and tournaments. An A5 booklet. This is now superseded by a a revised and updated online version .